AFIRE™, Inc. is a Pennsylvania nonprofit corporation (pursuing 501(c)(3) status). It is through your donations that this ministry exists at all, and your donations are tax-deductible. We are so grateful for your gift. Your contributions provide chapter groups with MEMBERSHIP KITS to start and maintain their groups, and we provide ongoing education and inspiration to keep groups filled with the light of hope to share with all. Scroll down to see the various giving options & patron levels. Tinder catches fire quickly and burns hot long enough to catch the kindling. Your contributions are the beginning of building AFIRE™. 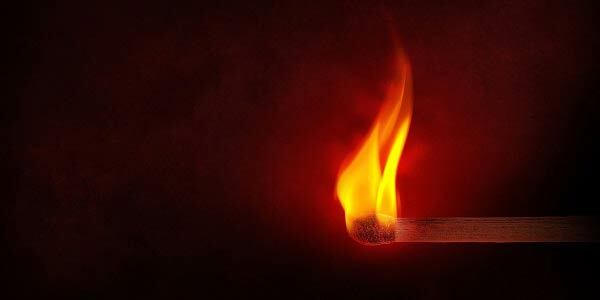 Kindling catches fire from the burning tinder and burns long enough for fire to catch. It is essential in building AFIRE™. The kindling is crackling, but AFIRE™ needs constant replenishing! Your contributions will keep the fire burning so that our members can share the warmth!